As many of you know, I love spoiling my dogs. I try giving Ivi and Reya both the best toys and treats. Sometimes, however, they miss out because they are large dogs. 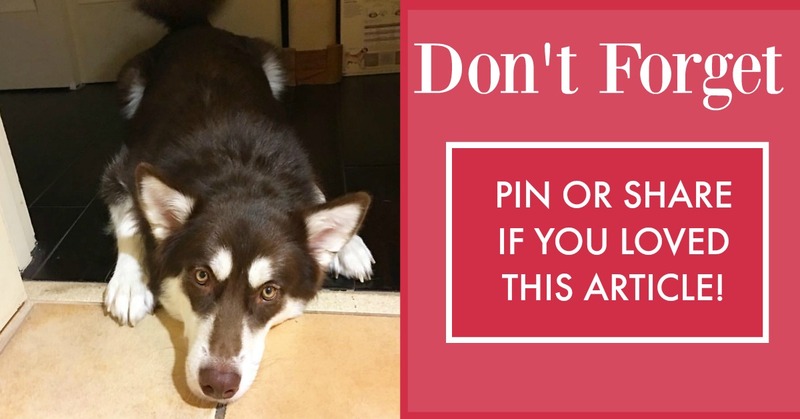 Many of the super cute toys, beds, and outfits are made for smaller dogs, leaving us searching everywhere t find items appropriately sized for them. While it is possible to find some of them online, it is at a premium rate that honestly, we aren’t comfortable paying unless we KNOW they are amazing quality. A lot of the time, unless we want to pay quite a bit of money, we have to try figuring out how to make something ourselves or go without. Recently, I fell in love with the most beautiful wood dog crate and end table combo. Personally, I hate the look of metal crates and wanted something a bit nicer for our home office. What I didn’t like was the price – $500 for a crate Reya’s size! As you can guess, I quickly chalked that up to a loss. What changed my mind, however, was when I found the most beautiful wood crate on Pinterest. 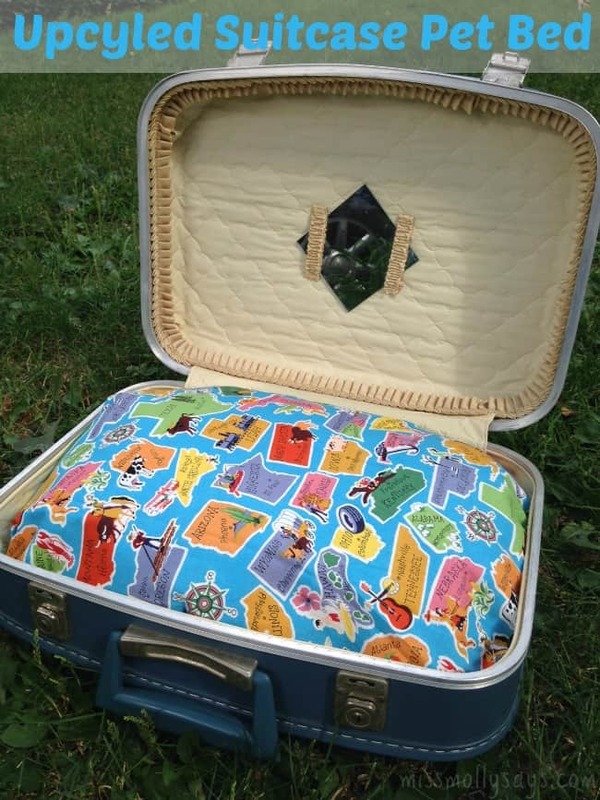 While we aren’t usually that crafty, I am hoping to attempt making one of those crates. 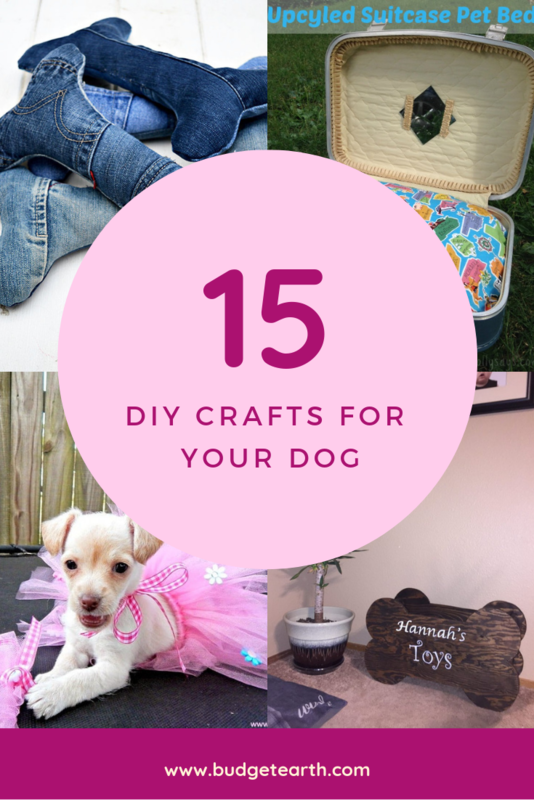 Knowing that many of you are in the same boat as me, I decided to share with you 15 of my favorite DIY Projects for Dogs. 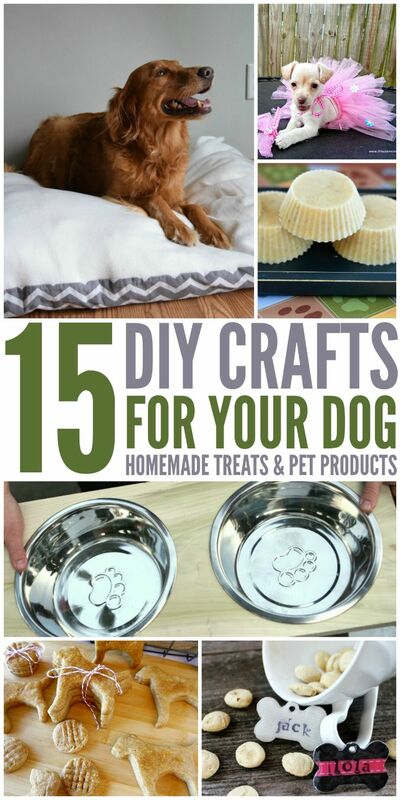 This list contains not only beds and a crate, but toys, treats, and more! Feel free to tell us what you think of our list below! These are some very cute ideas! I think making the home made treats for my dog is something I’d be very interested in. Thank you for sharing! I can’t believe that people dress their dogs. I can see wanting to make home made treats and stuff like that, but putting clothing on them is going a bit too far. i make costumes for my pets for Halloween and other events that the local pet stores have contest for. i have stayed up all nite making this outfits and spent more than buying them. my gals go as a trio and i also dress up as well. we do theme costumes. i liked the dog crate. Love the homemade treats!! 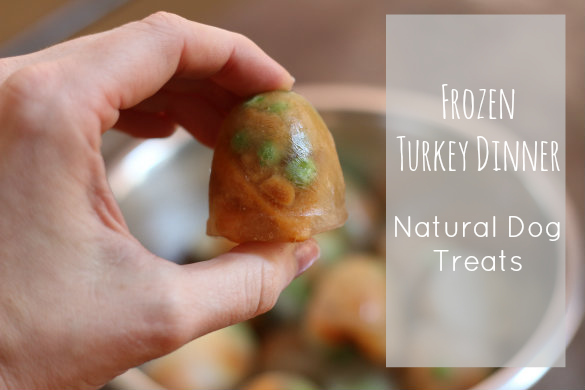 Have never tried the frozen treats! He would love those especially during the Summer months! I love the DIY dog bed! I should treat my dog because he is so kind and deserves it! 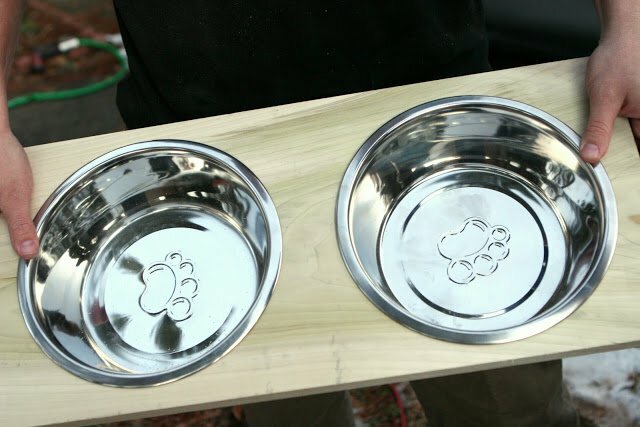 I thought I was advance making my own dog treats but look at these marvelous projects. I want to make the end table crate! 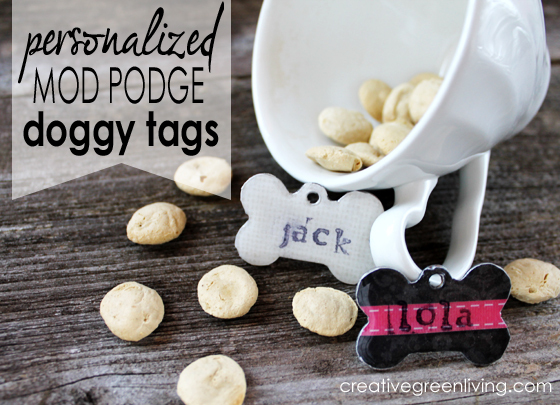 My boxer boy loves, loves, loves peanut butter so these treat recipes are awesome. Thank-you for the super fun ideas! 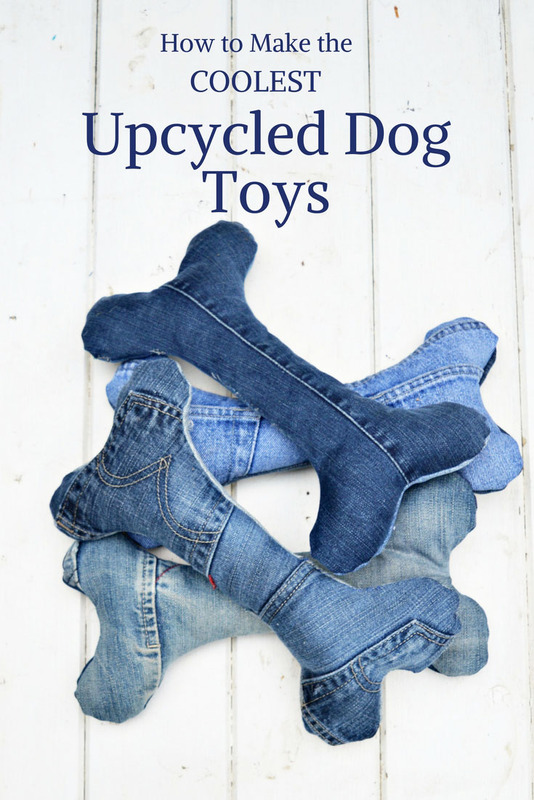 I love the DIY Upcycled T-Shirt Dog Chew Toy idea. Great way to use up old shirts and can make extras and drop them off at the shelter 🙂 Thanks! I also want to try making some dog bandanas. I’m making that bowtie right now! I love dogs so much, they give unconditional Love than anything else and I like DIY Dog bed. 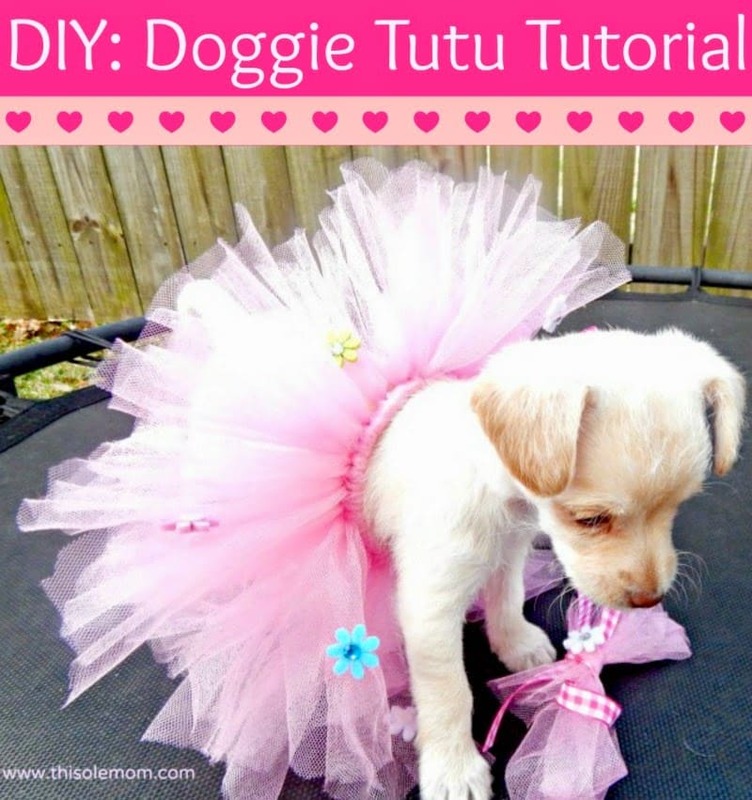 I’d love to try the bisquits, but my dog would kill me if I tried to put her in a tutu! I love all these great ideas! 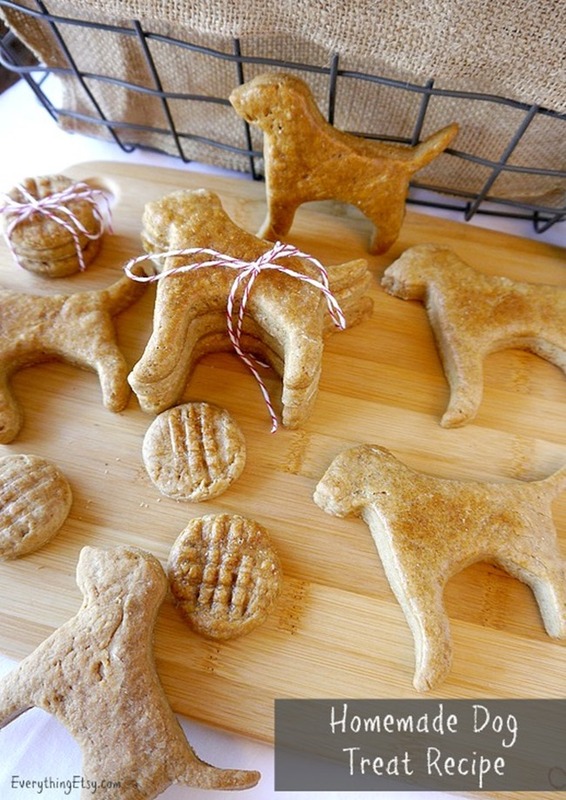 It’s really nice to know how to make dog treats at home to help save money rather than buying them at the store. Thanks for posting! 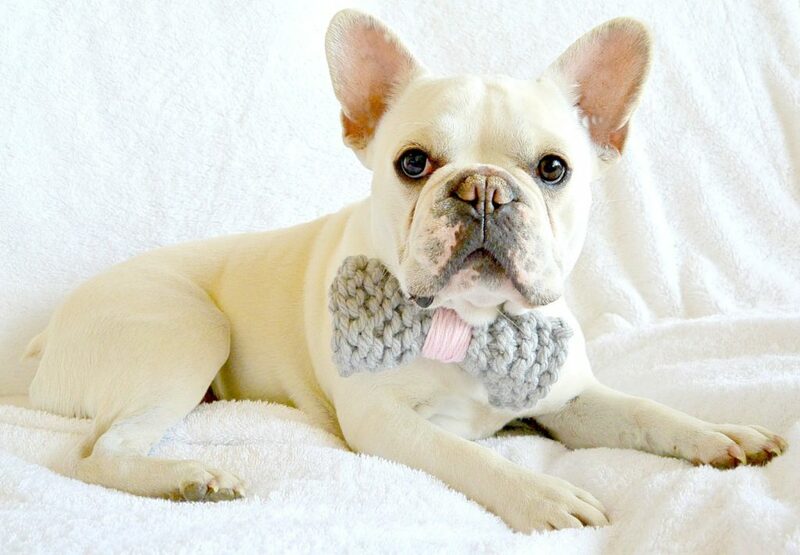 That bow tie is too much! I can’t even. My dog would look so cute. I am definitely going to try the copy cat frosty paws! My dog loves them and i would like to try and make them myself.